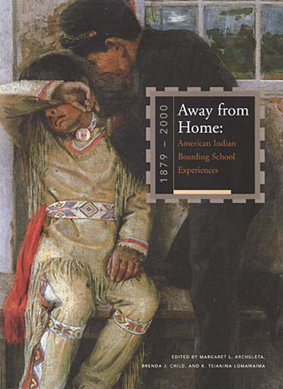 Read and explore books focusing on the Boarding School Era including My Name is Seepeetza by Shirley Sterling, Shi-Shi-Etko by Nicola L Campbell, Away from Home: American Indian Boarding School Experiences, 1879-2000 by Margaret L Archuleta, Brenda J Child and K Tsianina Lomawaima and Sweetgrass Basket by Marlene Carvell. This course is offered online through a Moodle platform. It is divided into weekly “modules.” Participants will have one week, starting on Monday and ending on Sunday, to complete each consecutive module. This online course is designed for kindergarten through twelfth grade teachers,. The course focuses on building Indian Education for All (IEFA) background knowledge related to the boarding school era. Participants will read a selection of fiction and non-fiction texts and examine a variety of instructional strategies to use with their students in the social studies or language arts classroom. Through readings, discussion forums, real-time chats, and examination of high-quality and authentic literature and teaching materials, participants will explore a variety of literature and professional teaching materials and develop strategies and a lesson plan for the immediate integration of IEFA into their classrooms. This course is rigorous and requires the participant complete extensive reading and access a number of texts through their school or public library or purchase said materials from WM-PLC or booksellers.